Pre Bit Oulu competition and networking event was held on Friday April 27th, 2018. The three finalists from Oulu are Death By Overwork, Arktik Kirkle and Red Shirt Games. 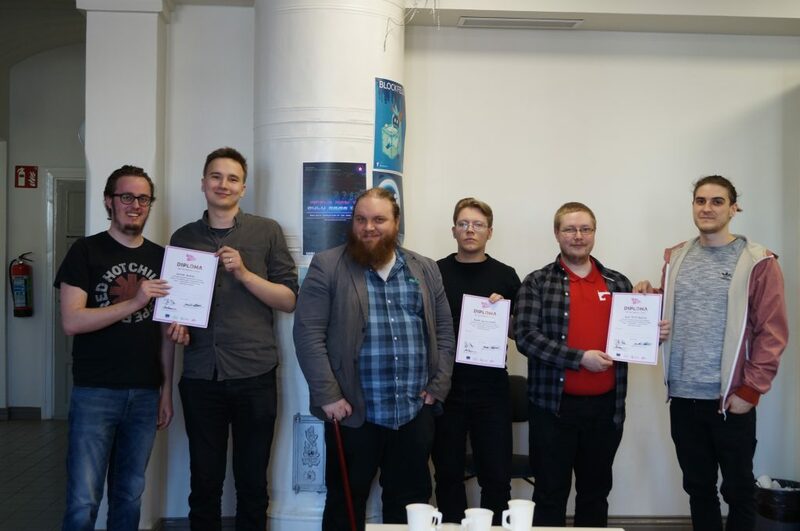 Jury in Oulu were Jussi Autio, John Rantala from Round Zero, Antti Kananen from Koukoi Games. The jury listening to pitches. Death By Overwork’s game is Ninja! Not a Samurai. It is a puzzle/card game developed for mobile devices. Jury found their game concept unique and functioning. They also noted that the pitch was funny and engaging. Arktik Kirkle pitched their VR game Cortex Protocol. They showcased a polished demo they have already released in Steam: Jury said they showed a strong understanding of the complex marketplace for VR games and what it requires from them in the future. Red Shirt Games mobile game Guild Inc got compliments from the jury for their polished outlook and clear understanding of the markets. The winners receiving their diplomas. PreBit Oulu showcased games from Oulu Game Lab, Pelifarmi and Kajaani. Overall six teams pitched their games and ideas to three jury members. 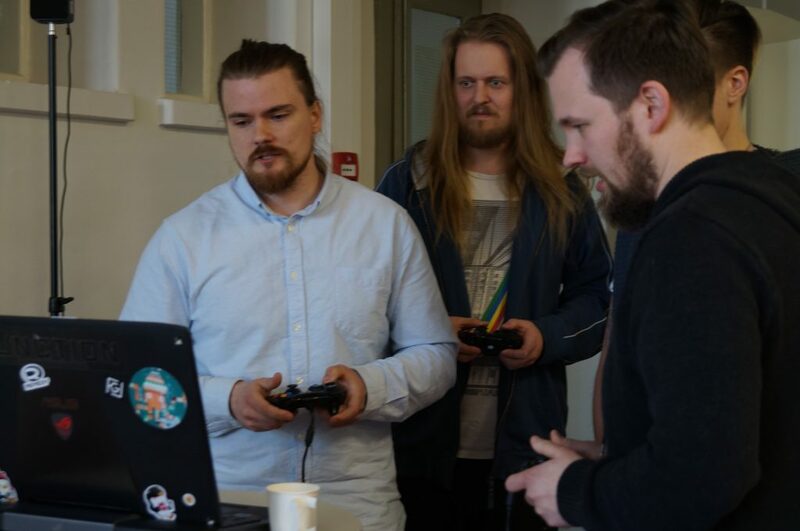 The jury was very pleased with the quality of the games presented at PreBit Oulu. Jussi Autio stated at the jury feedback that Finnish game industry is in safe hands, because there were no clone games. It shows that new ideas are brewing and the game developers have a right attitude. He also encouraged all the teams who participated in the event to keep up the hard work and their enthusiasm. 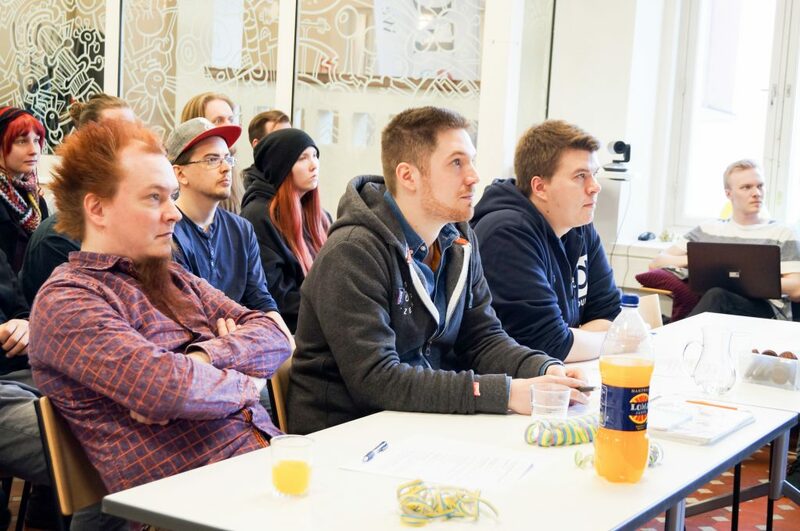 Aatu Numminen from Arktik Kirkle noted that getting a chance to pitch in Helsinki is going to be a good motivator for the team as well as a new opportunity to learn. You can check out the live feed material here! Going to work in the game industry? – You really should apply for the best Student Game Competition Bit1 – NOW! Greetings from Finnish Game Day and White Nights! Interviews and speeches of Bit1 Helsinki published on YouTube! The winner is Team Colbanum with Space Hen Hassle!